What is the 12-month de facto requirement? If you’ve been doing any Partner Visa research online, chances are you would’ve come across the 12-month de facto requirement. The Australian government legislation dictates you have to have been in a personal relationship with your partner for at least 12 months to qualify to lodge a valid Partner Visa application on de facto grounds. If I register my relationship within a state/territory, does my relationship automatically qualify for the Partner Visa? It seems many people think they can get around the 12-month duration rule if they register their relationship/marriage within a state or territory in Australia. They mistakenly think that by doing this, they can get around the 12-month rule and be granted a Partner Visa. However, it really doesn’t work like this. As we have touched on the topic of relationships/marriage, please check out our blog for advice on What effect will getting married have on our Partner Visa Application? How do I pass the 12-month de facto requirement? To achieve this requirement, you have to put together an application which evidences you are in a genuine and continuing relationship that has been ongoing for 12 months or more. Having a Partner Visa evidence checklist that’s personalised to your relationship will certainly help you with this. Our relationship has not yet reached 12 months but we want to lodge a Partner Visa. What are our options? Option 1 is to just wait until you and your partner have been in the relationship for at least 12 months before you lodge your Partner Visa application. During this waiting period, we would encourage you to gather enough evidence to show you are in a long-term, ongoing relationship to present to the department to support your Partner Visa application. Option 2 would be to register the relationship but keep in mind that this is not the end of the story! You will still have to collect a lot of evidence to support your application when you do lodge. Keep in mind that since your relationship is less than 12 months old, it will be one of those ‘higher-risk applications’ which will attract the attention of the department. The bottom line is every relationship is different. Ultimately, just covering off one issue will not get your visa granted. You will need to cover a combination of factors to lodge a VALID Partner Visa application. 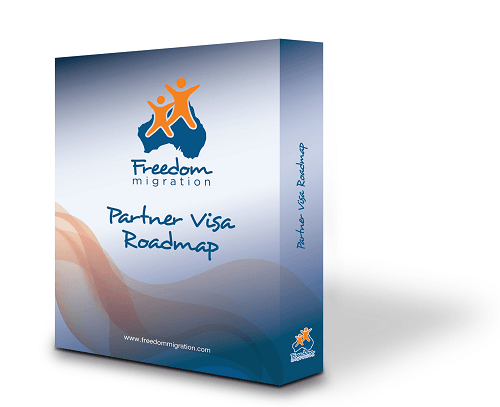 Here at Freedom Migration, putting together successful Partner Visa applications is WHAT WE DO best. We have heard all the stories and would love to hear yours. If you are confused about how to go about putting your Partner Visa application together and would like some professional advice, we’d love to help. Book a Visa Planning session with one of our team at Freedom Migration and get ahead of the game!